Welcome to Musical Monday when we bring you songs with diamonds, jewelry, gemstones or precious metals in the title or lyrics. Today is a throw back, music legend Jim Croce tells his sad and lonely wife how things are going to change in the 1972 classic, "Tomorrow's Gonna Be A Brighter Day." Released as the second track from his top of the charts studio album, You Don't Mess Around with Jim, "Tomorrow's Gonna Be a Brighter Day" seems to reflect Croce's personal struggle with balancing a life on the road with the needs of his family. 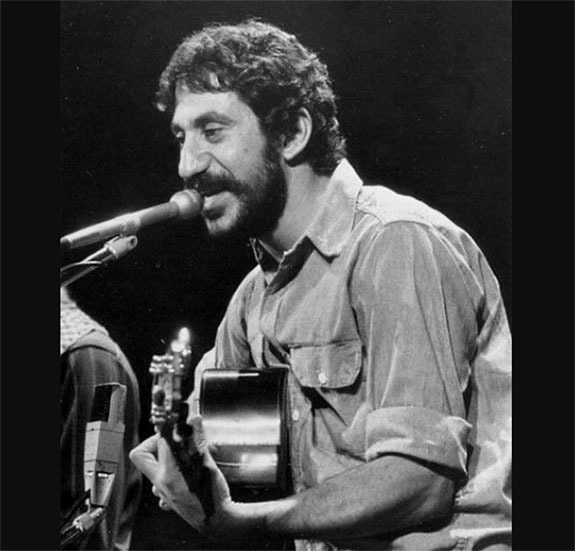 Only 17 months after the release of this song; at the peak of his fame; the 30-year-old Croce lost his life in a plane crash near Natchitoches, La. He had just wrapped a performance at the campus of Northwestern State University. In a letter to his 26-year-old wife, Ingrid; a letter that arrived after his death; Croce told her that he was homesick and couldn’t bear the pain of being away from her and their infant son. He was planning to stop touring and to concentrate, instead, on writing short stories. It was never to be. Born in South Philadelphia in 1943, Croce struggled early in his music career, appearing at large coffee houses, on college campuses and at folk festivals. In 1972, he scored a triple record deal with ABC Records.